If you are considering a new exhaust for your vehicle there are a number of things to consider. One of the main things you’ll need to decide is if you want to go with a single or dual exhaust system. There are pros and cons of both systems, so read on to see which system is right for you! The main con of a single exhaust system is that you just aren’t going to see the same power/fuel economy benefits as you would with a dual exhaust system because it only has one exit pipe. Anything a single exhaust system can do, a dual exhaust system can do two times better because of that extra pipe. increased style – there are a number of different options when it comes to dual exhaust systems, whether its a dual real exit or cat back exhaust, the style options are endless. Expense — dual exhaust systems are more expensive to purchase, install and replace. 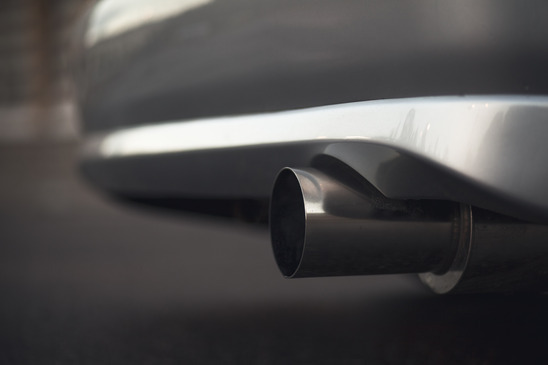 Shorter lifespan — because the pipes in a dual exhaust system don’t get as warm, it’s common to see moisture form and cause rust. What system you choose will depend on your vehicle and what your goals are for it. Vehicles with a turbocharged engine, or a V-6 or larger engine will see the most power benefit from a dual exhaust system. Smaller, non turbocharged engines will really only benefit from a dual exhausts appearance, so a single exhaust might make more sense. If you are wondering what the best exhaust system is for you, contact the expert team at Park Muffler. They will be able to help you get the best system for your needs, and offer professional installation with no appointment required!